Born and raised in Philadelphia, Ben Gundersheimer is a graduate of Amherst College and the recipient of the first songwriting scholarship awarded by the Berklee College of Music. For his Master’s of Education thesis, Ben created a curriculum that incorporated songwriting as a learning tool. Dubbed ‘Mister G by his 4th grade students, he began writing the songs that would comprise his debut family album while working as a classroom teacher. More than a decade later, Ben has released ten albums as 'Mister G' and received numerous accolades including a Latin GRAMMY Award and four Parents’ Choice Gold Awards. He tours internationally headlining performing arts centers, festivals, and theaters, performing in both English and Spanish. Fluent in a broad range of genres and styles, Ben collaborates widely with internationally renowned musicians, both onstage and in the studio. His recordings feature guest performances by saxophonist Charles Neville (Neville Brothers), Senegalese talking drum master Massamba Diop (Baaba Maal), pianist Janina Rosado (Juan Luis Guerra), bassist Oscar Stagnaro (Paquito D’Rivera) and pianist Arturo O'Farrill. Ben recently signed a multi-book deal with Penguin Random House to turn several of his songs into illustrated children's books. 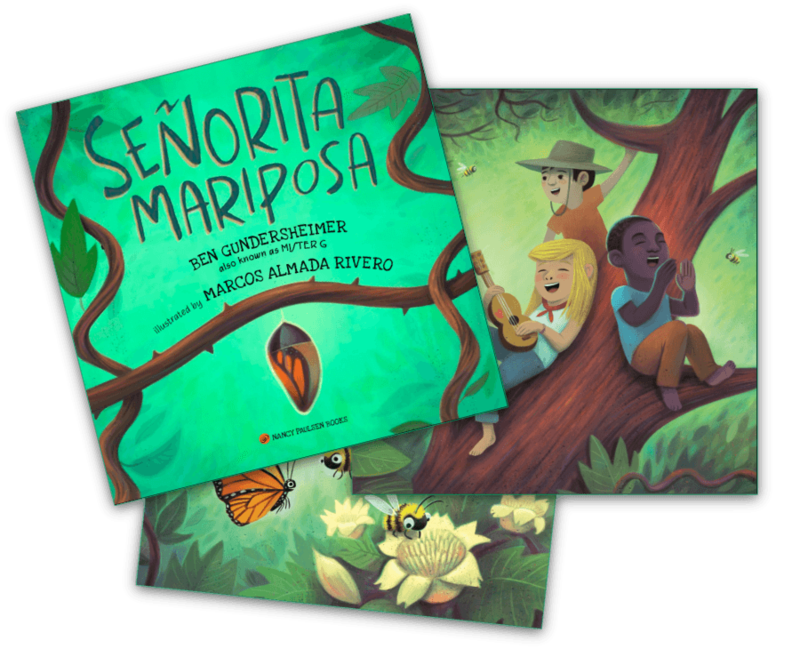 Due on shelves in September 2019, his first release, Señorita Mariposa, is a captivating look at the extraordinary annual migration of monarch butterflies from Canada to Mexico. 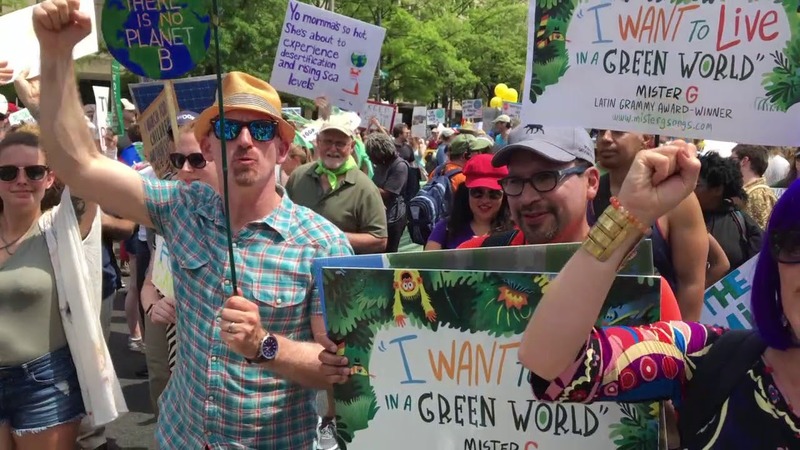 The book provides a jumping off point for children to learn about climate change and immigration, and is meant to spark dialogue about these important, topical issues. With text in both English and Spanish, the book features lively illustrations by Mexican visual artist and close collaborator, Marcos Almada Rivero. Rivero has created the album art for several of Ben’s projects, including the Latin GRAMMY award-winning Los Animales, and the video for his most recent bilingual release, Mundo Verde/Green World. Ben’s second book, Lilah Tov, based on his lullaby by the same title, is slated for publication in early 2020. Noted Israeli artist Noar Lee Haggan will be illustrating the bilingual English-Hebrew book. Throughout his career, Ben has infused his songwriting with ecological and social justice themes. 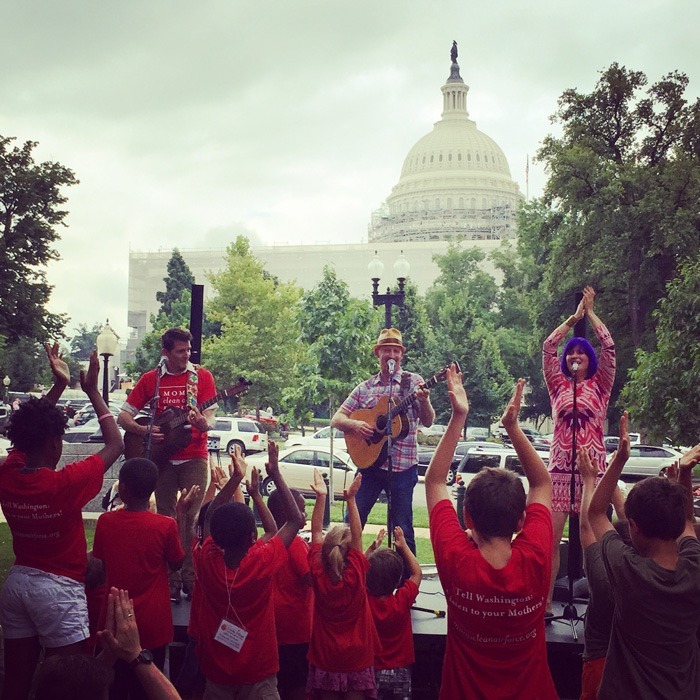 An outspoken advocate on behalf of children’s welfare, he has headlined concerts on Capitol Hill and performed at the National Climate Rally. Most recently, he shared the stage with Nancy Pelosi and Cory Booker to spur support for public policy to preserve our environment for future generations. 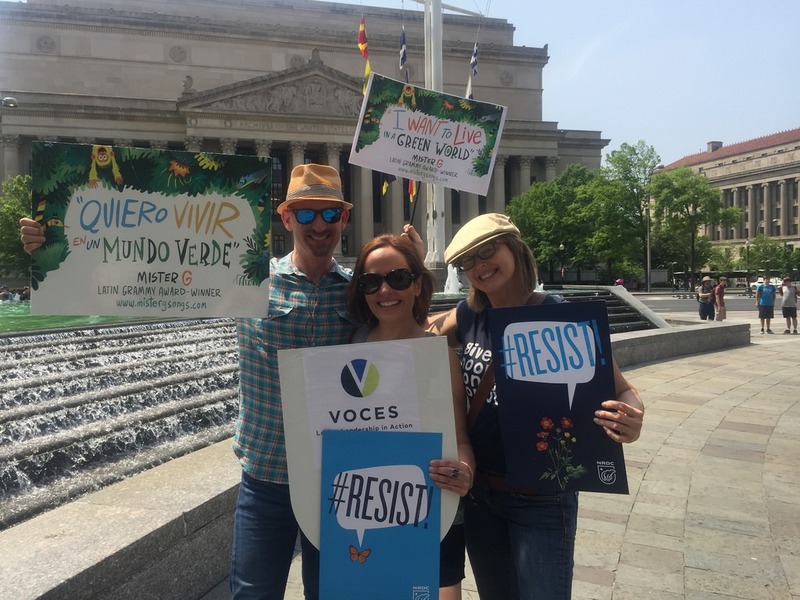 His latest Spanish-English bilingual album, Mundo Verde/Green World, is a collection of original, inspirational songs intended to unite people of all ages to advocate for environmental conservation. His 2019 release, Seeds of Shalom, incorporates English, Hebrew, Spanish and Yiddish in a collection of songs, which broaden the ecological theme to include messages of peace and unity. While both albums were initially conceived as joyful celebrations of the natural world, they also inspire children and families to work to preserve and protect the earth. As a first generation American, immigration is a subject close to Ben’s heart. His father was born in Frankfurt and had a harrowing escape from Nazi Germany as a young child. Through his travels performing around the world, Ben has gained an additional nuanced perspective of the plight of refugees, particularly children and families. Ben received his Masters in Education from Smith College where he often wrote songs with his young students. He has developed a roster of educational workshops targeted at children from elementary through middle school grades that support English and Spanish Language Arts, Music, History and Social Science, Multicultural Studies, and Science curricula. 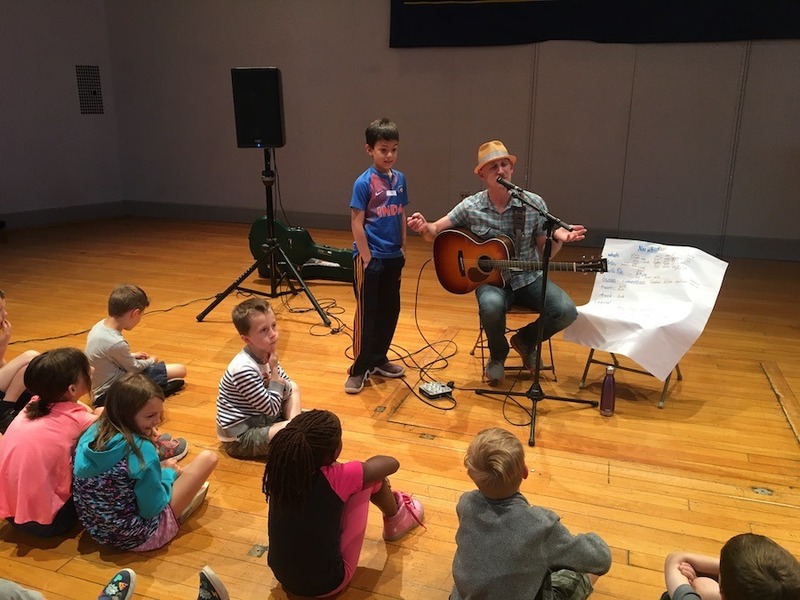 Ben also gives keynote addresses at educational conferences, leads artist residencies in schools, and conducts professional development seminars for teachers. Stay in touch and we'll let you know what's new and when Mister G is coming to your neighborhood!